Your tax-deductible gift means more patients will receive a marrow transplant—and get a second chance at life. Because of generous people like you, Be The Match can connect more patients to the life-saving marrow transplants they need, help more patients and families cope with the uninsured costs of transplant, and fund more groundbreaking research. 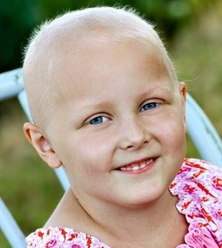 Your financial support helps deliver cures to patients like Lola, transplant recipient pictured.